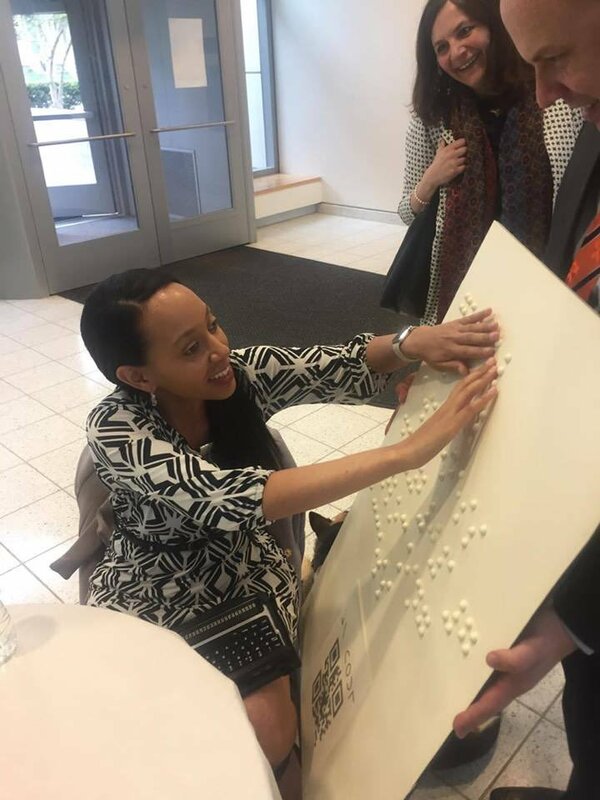 The first Deafblind person to graduate from Harvard Law School, Haben Girma advocates for equal opportunities for people with disabilities. President Obama named her a White House Champion of Change. She received the Helen Keller Achievement Award, and a spot on Forbes 30 Under 30. Haben travels the world consulting and public speaking, teaching clients the benefits of fully accessible products and services. She’s a talented storyteller who helps people frame difference as an asset. She resisted society’s low expectations, choosing to create her own pioneering story. Haben is working on a book that will be published by Hachette in 2019. Haben has been featured extensively in media around the world, including the BBC, NBC, Forbes, NPR, and many more. If you work in media, please read this brief guide on producing positive disability stories. You can read Haben’s FAQ and featured work. Haben offers accessibility and diversity training, consulting, and professional speaking services. Haben combines her knowledge of law, sociology, and technology to teach clients the benefits of fully accessible products and services. Her insights help to expand our thinking, creating lasting, positive change among people and communities. People with disabilities represent the largest minority group, numbering one billion worldwide. Reaching a group of this scale creates value for everyone. Organizations that prioritize accessibility benefit by gaining access to a much larger user base, improving the experience for both disabled and non-disabled users, and facilitating further innovation. Watch Haben teach 4,000 developers the connection between disability & innovation at Apple’s 2016 Worldwide Developers Conference. The daughter of refugees, a Black woman, and disabled, Haben developed a powerful path to success, rooted in her belief that inclusion is a choice. We all have the power to advocate for positive change. Becoming a leader begins by role-modeling the change we need in this world. Haben provides valuable insights that help people become better leaders. Watch Haben share leadership advice with St. Catherine University’s graduates in her Commencement Address. Powerful stories drive successful businesses. Compelling stories communicate what sets an organization apart and how that difference serves as an advantage. 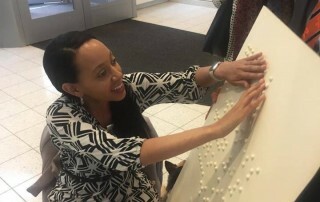 Haben Girma is a talented storyteller who helps people frame difference as an asset. Born Deafblind, Haben fought off low expectations, choosing to create her own pioneering story that has led to international acclaim. Through an engaging presentation, Haben provides participants with communication strategies for developing a winning story. Follow Haben on Facebook, Twitter, Instagram, and LinkedIn. Thank you so much, Haben, for that amazing introduction, and for working to make sure that students with disabilities get a world-class education, just like you have. So please give Haben a big round of applause. She got out of Harvard, and you know what she’s doing? 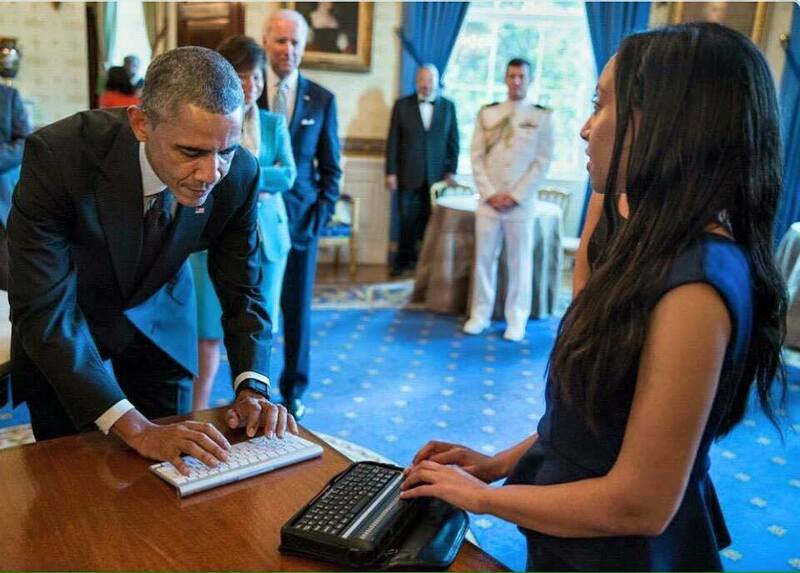 She is an advocate for opportunities for people with disabilities. Because in fact they have enormous ability, and all over the world that ability is going untapped, diminishing their lives and the rest of ours as well. So let’s give her a big round! I wish to take this opportunity, as well, to recognize you for your lifelong advocacy for people with disabilities, especially for the deaf-blind community. As a teacher and Prime Minister, I am particularly grateful for your work to ensure that students with disabilities have access to the tools they need to thrive at school and beyond. When our society is inclusive, we are all better off. 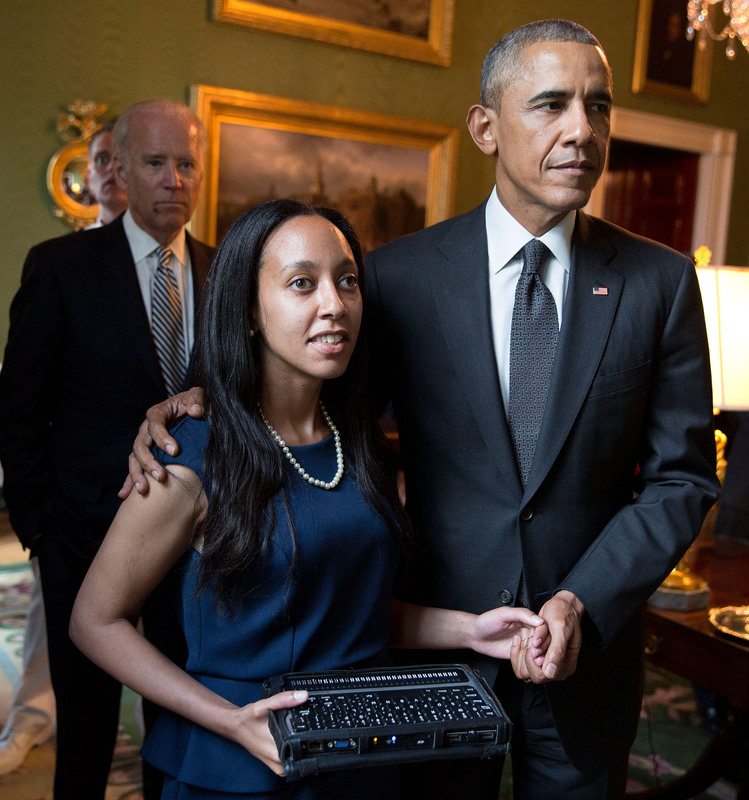 Haben had the honor of introducing President Barack Obama and Vice President Joe Biden at the White House 25th Anniversary Celebration of the Americans with Disabilities Act. Surfing as a Deafblind person feels like I’m alone with the ocean. The exhilaration of connecting with such a powerful force of nature is unlike anything else I’ve experienced. My whole body listens to the ocean through the board, constantly adjusting as it tilts and sways. I can’t see where the ocean takes me, but I ride anyway, trusting that everything will work out. I know that my water guides are somewhere nearby, ready to help when I need it. My surfing journey began in high school when a nonprofit called Ride-A-Wave introduced me and other kids with disabilities to the joy of tandem surfing. The waters of Santa Cruz felt freezing, but I still wanted to go back. Tandem surfing has a beautiful communication aspect that comes from sharing a surf board with someone. Over the years I did more tandem, all while wondering if it would ever be possible for me to surf on my own board. I tried some tentative lessons with Surf Diva and Richard Schmidt. Solo surfing started to feel possible, and I began imagining myself riding the warm waters of Hawaii.